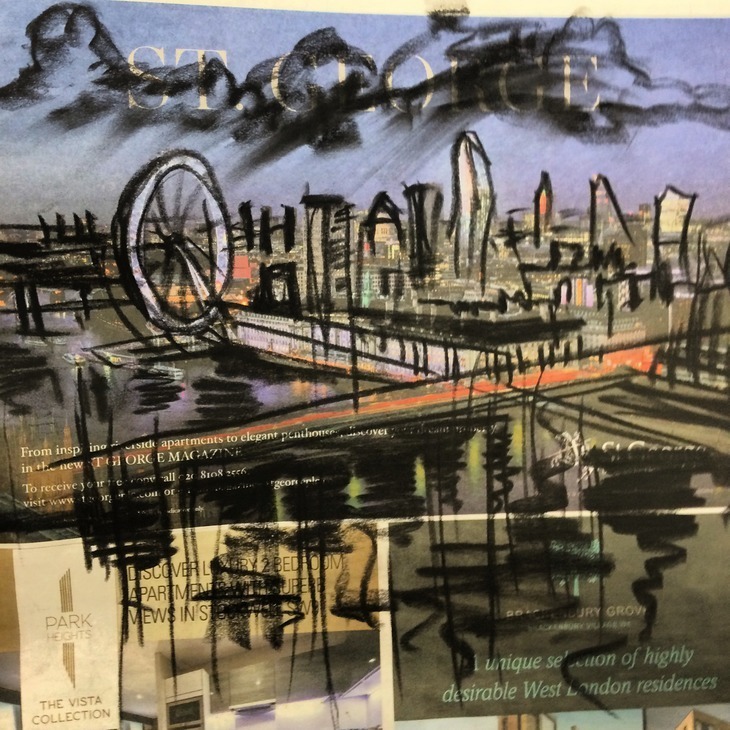 Ever seen a charcoal drawing on a newspaper on the Underground, Overground or train? If so, it may be the work of artist Liz Atkin. 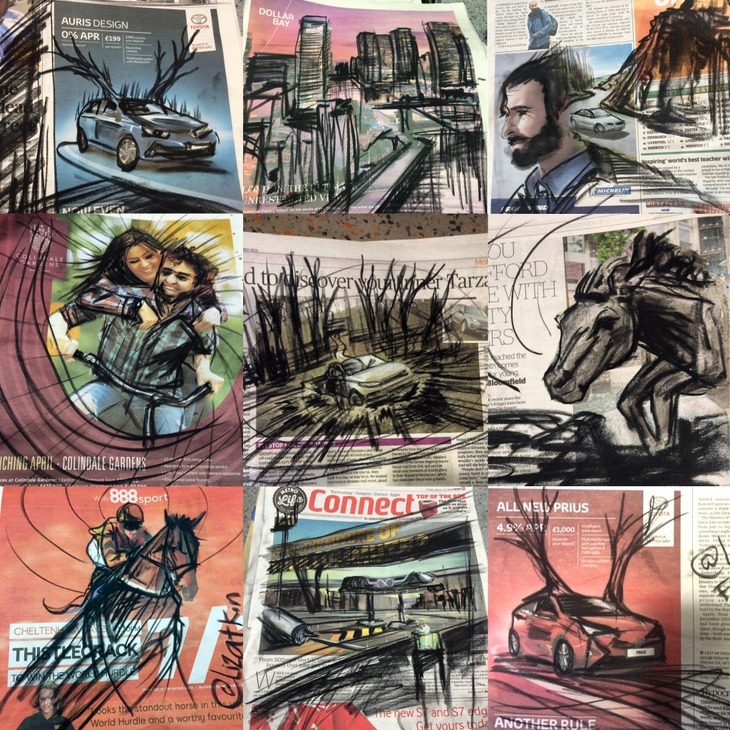 She spends her commute creating drawings, then gives them away or simply leaves them for others to find. I have a disorder called compulsive skin picking, so drawing serves a very real purpose of keeping my hands and fingers busy. I draw every day to help relax my mind. The reason I began doing this is I have a long commute on three trains from Forest Hill to East Finchley twice a week, and I started taking a sketch book with me to draw. I ran out of paper on one of these journeys and picked up a newspaper beside me to draw as I realised the carriage was littered with them. Of course since then I don't bother with a sketch book! Commuters are often intrigued and I began handing finished drawings to someone or leaving them on the floor. It delights people! I also get chatting to people as some cross the carriage to sit beside me as I draw. Each drawing takes one minute, so I often do a huge amount on each journey. It's a form of live art! If you grab one of Liz's drawings make sure you tweet her to let her know you're a proud owner of one. And next time you see a newspaper page on the floor of a carriage, don't be so quick to dismiss it. A selection of the charcoal drawings. 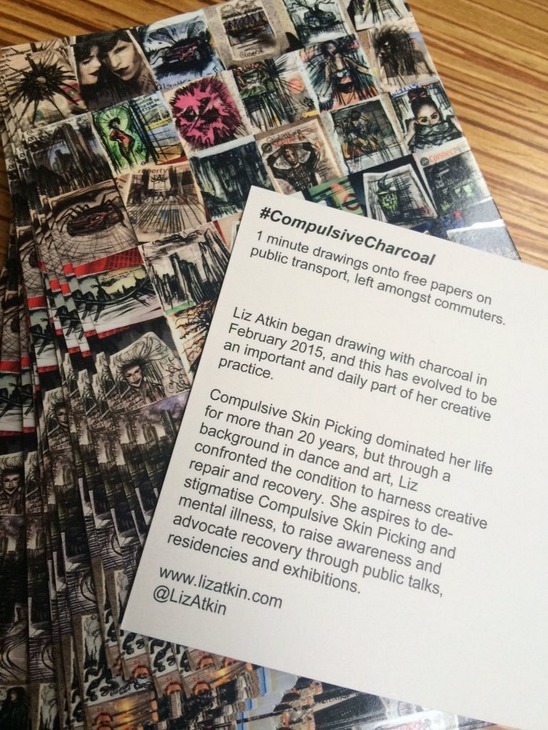 A postcard she leaves explaining her work and the disorder.